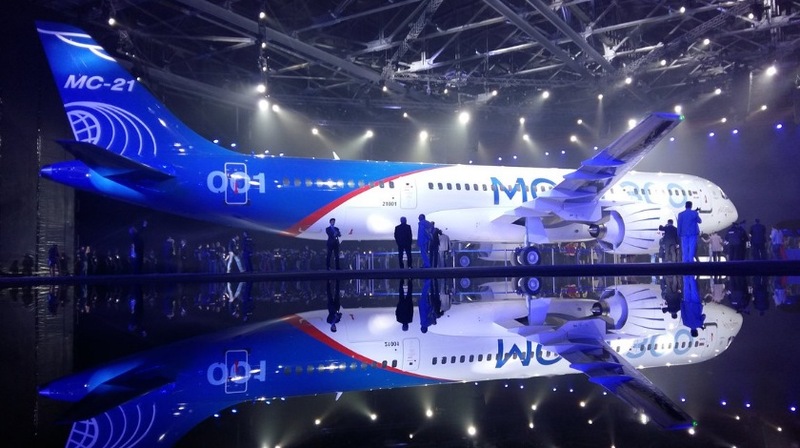 The first flying prototype of the Ikrut MC-21, a Russian twin-engine short-mid-range jet airliner with a capacity of 150-211 passengers, has left the assembly room floor, Russian media reports, citing sources in the aviation industry. Details on the plane’s expected flight testing schedule remain scarce, with the official telling RIA Novosti that the date for the first flight has yet to be confirmed. Speaking to Russia’s Izvestia newspaper, a separate official explained that the aircraft will now need to pass a series of ground tests, including fueling, running its engines in different operating modes, testing all on-board systems, taxiing on the runway, speeding up to liftoff speed, and braking at speed; only after all this will flight testing begin. Irkut Corporation is betting big with its prospective new airliner. When released, it will be competing directly against the Boeing 737 and the Airbus A320 in the most capacious segment of the global commercial aviation market: mid-range travel. Russian observers expect the MC-21 to fare well against the US and European heavyweights. The MC-21 is designed to be faster, more efficient, and less expensive than its Western counterparts, having incorporated the latest in the field of aircraft construction, engine technology and avionics systems in its design. For instance, while the Airbus A-320 and Boeing-737 have cruising speeds of 828 km/h and 842 km/h, respectively, the MC-21 is expected to have a cruising speed of 870 km/h. Furthermore, the plane’s cost per unit is expected to run somewhere in the neighborhood of $72-$85 million US, depending on modification. Its Western analogues, by contrast, can run tens of millions more in their base price. On the environmental front too, the MC-21 has been designed to come out on top, with pollution emissions reduced by 20% lower than Boeing and Airbus, and service costs are 12-15% lower. According to Irkut Corporation’s calculations, airlines can expect to save up to $3 million per year operating the MC-21 compared with the US and European planes. The MC-21 incorporates a composite wing design – the first of its kind for a domestic civilian aircraft of this class. The first prototype plane to roll off the production line has been fitted with PW1400G engines from the American engine firm Pratt & Whitney. Future MC-21s will be equipped with the Russian PD-14, a family of modern engines built by Russia’s Aviadvigatel aircraft engine manufacturer. Irkut Corporation had previously indicated that it already has firm orders for 175 planes, with another 100 possible orders confirmed. Aeroflot, Russia’s flag carrier airline, will become the plane’s first domestic operator. The company has plans to buy 50 aircraft. Pending successful flight testing, deliveries of the MC-21 are expected to begin sometime between late 2018 and early 2019. United Aircraft Corporation, Irkut’s parent company, has indicated that they plan to market the aircraft not only in Russia, but also in foreign markets. India, China, Southeast Asia and Latin America are all seen as strong potential markets, given their experience with Soviet and Russian aviation technology in the civilian and military sectors, and the absence of trade preferences given to Boeing and Airbus in their home areas. Following its debut, in addition to competing with Boeing and Airbus, the MC-21 will begin replacing the leftover Soviet-era Tupolevs, Yaks and Antonovs operating in Russia’s commercial aviation park. Asked to comment on the MC-21’s long-awaited rollout, aviation expert, distinguished military pilot, and deputy-editor-in-chief of Russia’s Aviapanorama magazine Vladimir Popov told Radio Sputnik that it was a good indicator of the state of the Russian aviation industry, for several reasons. Popov emphasized that he has no doubts about the MC-21’s ability to compete with Western aircraft. “It is competitive with Boeing and Airbus, because it is manufactured on a new production base that incorporates modern technologies,” the expert noted. “This is an economically viable aircraft. When released, it can replace [Western] planes flying on short routes, but depending on the amount of fuel in its tanks can also perform medium-haul flights, and also be used for long-haul flights. In other words, the plane is very versatile,” he added. Development of the MC-21 first began in the late 2000s. Work intensified in 2014, after the downturn in relations with Western countries. 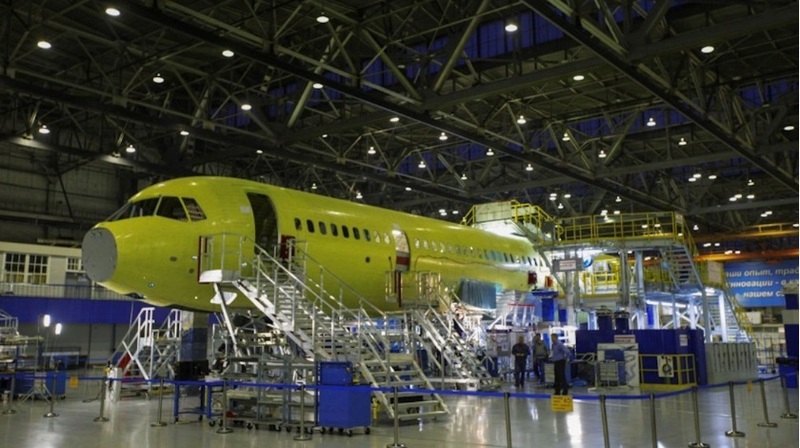 At that time, the Russian government took a number of steps to help the country’s commercial passenger aircraft industry work to regain lost market share, both domestically and abroad. In the 1990s, after the collapse of the Soviet Union, Russia’s massive civilian aviation industry, once accounting for nearly a third of the world total, was also brought to the brink of collapse, with production brought down to the low single-digits. Citing increasingly stringent safety and engine noise regulations and high fuel costs, Russian carriers began buying foreign aircraft, which by the early 2010s accounted two thirds or more of many major airlines’ fleets. Today, with the development of the Sukhoi Superjet 100, the long-haul Ilyushin Il-96 with advanced new engines, and now, the Irkut MC-21, the civil aviation industry’s future looks bright, so long as the government remains committed to this time and technology-intensive sector.